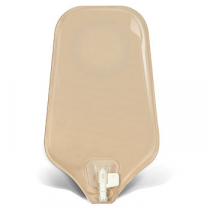 What Is a Two Piece Urostomy Bag? 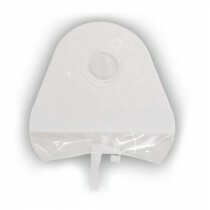 Why Choose a Two Piece Urostomy Bag? 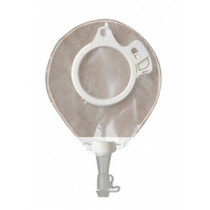 A Two Piece Urostomy Bag is a system comprised of two items: the urostomy bag and the wafer (flange). 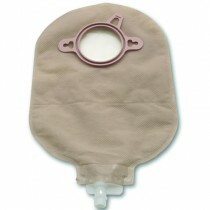 These two items are either ordered separately or as a complete urostomy kit. 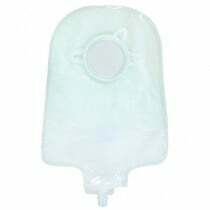 The two piece urostomy system provides the user with more options for the style of the wafer, the size of the bag and the style of the bag. 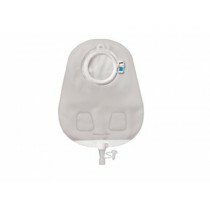 The versatility of this system makes it an ideal urostomy care choice for a wide variety of different types of lifestyles. 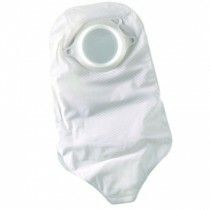 Two piece systems can stay in place between two and four days, resulting in a more skin-friendly user experience. The size of the bag can be quickly and simply changed for different occasions. 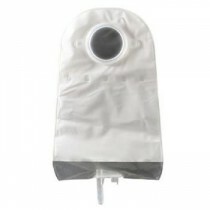 For example, a smaller bag can be used for intimate moments or for swimming, while a regular-sized bag can be used for everyday activities. A two-piece system allows users to change the bag much more quickly than a one-piece system. Simply remove the old bag and quickly attach the new bag for a seamless bag change. You can quickly change your bag while going about your everyday activities, such as running errands, working out, attending social gatherings and similar situations. 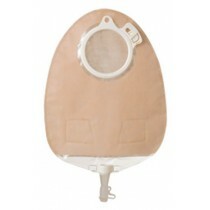 There are several different styles of skin barriers that can be used with a two-piece urostomy system. 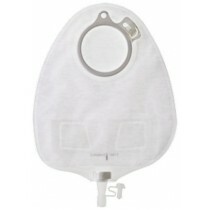 A plastic ring called a floating flange is used to snap the skin barrier together with the pouch. A floating flange allows you to put your fingertips beneath the flange for additional support while you attach the pouch to the barrier. 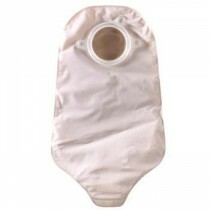 The purpose of the floating flange is to help reduce pressure on your abdomen while applying the pouch. 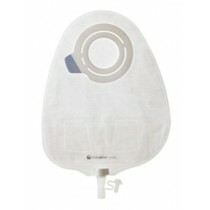 Flat Skin Barrier: A flat skin barrier may be ideal for you if your stoma sticks out at least an inch from your body. 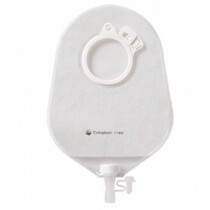 Convex Skin Barrier: a convex skin barrier may be the best choice for you if your stoma is flat against your skin or protrudes less than an inch. 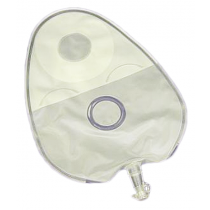 A convex skin barrier is also a great solution for people who have a soft abdomen with a dip or an indented area around your stoma. 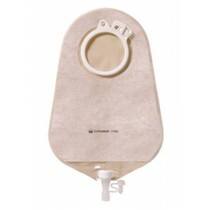 Pre-Sized Skin Barrier: A pre-sized skin barrier is a great option if your stoma is round and is no longer changing size. A pre-sized skin barrier is already cut to the correct size, allowing you to apply it without having to pre-cut its size. 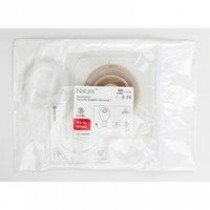 Cut-to-Fit Skin Barrier: A cut-to-fit skin barrier is the most ideal for an oval stoma, oblong stoma or stoma that is still changing size. 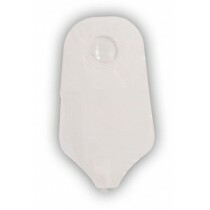 To use a cut-to-fit skin barrier, simply measure your stoma where it is the largest and select the correct size. A Flextend Skin Barrier: A flextend skin barrier is typically the best choice for use with a urostomy. Flextend skin barriers are resistant to breakdown, making them a good choice if you only change your barrier once or twice a week.